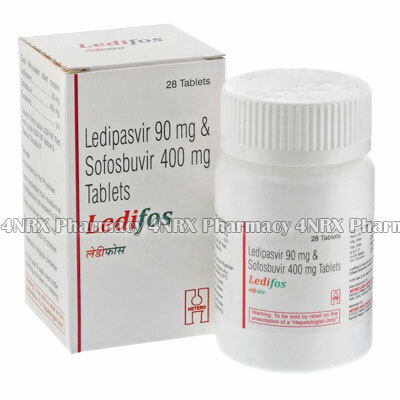 What is Ledifos (Ledipasvir/Sofosbuvir) used for? How should I use Ledifos (Ledipasvir/Sofosbuvir)? Dosage instructions will be provided to you by your doctor. Follow this, and any other advice they give you very carefully. Ledifos should only be taken as prescribed by your doctor and is only suitable for use by adults with chronic hepatitis C. The dosage will depend on the patient and the severity of the condition, however the same dosage will usually be taken daily. Tablets should be swallowed whole with a glass of water and can be taken with or without food. What are the side effects of Ledifos (Ledipasvir/Sofosbuvir)? Ledifos has a minimal side effect profile, and can be used by the majority of patients with no ill effects. The most common side effects of Ledifos are headaches, tiredness, loss of appetite, diarrhea, lower back pain. If you notice any of these and they are a bother to you, contact your doctor. If you see any signs that you may be allergic to Ledifos (eg. rash, hives, excessive itching, unusual difficulty breathing, tightness in your chest, or swelling of the mouth, face, lips, or tongue) seek medical attention immediately and stop taking Ledifos. Ledifos (Ledipasvir/Sofobuvir) is a good choice of treatment for many people with hepatitis C, however it is not for everybody. People in any of the following situations should not take Ledifos. Some medicines can interact negatively with Ledifos, or vice versa.